‘Tis the Season! Welcome! Lift a Glass! Extend a Hand to Peace and Good Cheer! 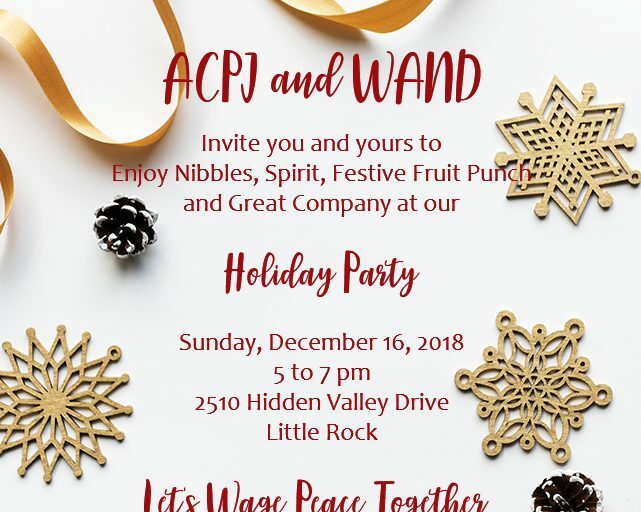 ACPJ and WAND invite you to enjoy nibbles, spirit, festive fruit punch and great company at our Holiday Party on Sunday, December 16, 2018 from 5 to 7 pm, 2510 Hidden Valley Drive, Little Rock. No charge and no reservations required. 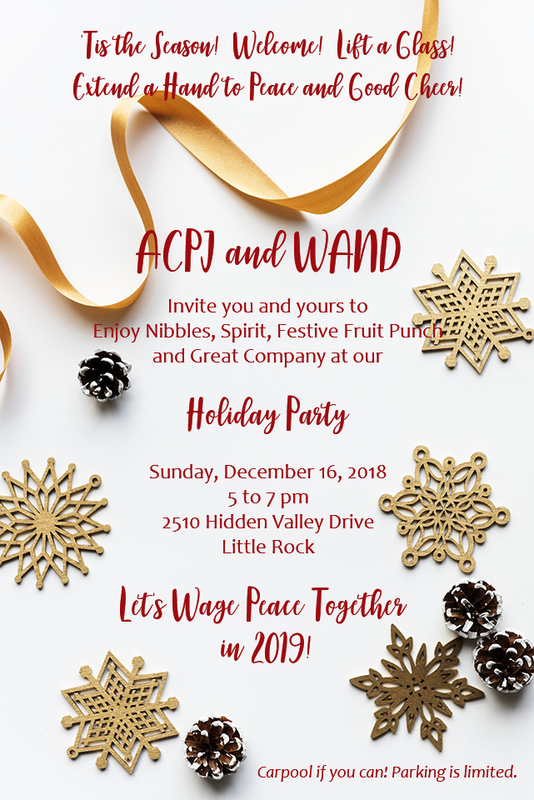 Let us wage peace together in 2019! Carpool if you can – parking is limited.